On this page you can download ForceWare 195.55 Windows XP x86. 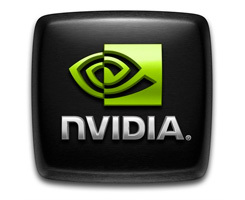 NVIDIA released a new driver today -- revision 195.55 This is a WHQL-candidate driver for GeForce 6, 7, 8, 9, 100, and 200-series desktop GPUs and ION desktop GPUs. Supports OpenGL 3.2 for GeForce 8-series and later GPUs. Supports NVIDIA 3D Vision Discover, a complete, low cost solution to start your immersive stereoscopic 3D experience. NOTE: If you are using NVIDIA 3D Vision active shutter glasses, you must download the separate 3D Vision driver which includes the driver for the 3D Vision IR emitter. Supports NVIDIA PhysX acceleration on a dedicated GeForce graphics card. Use one card for graphics and dedicate a different card for PhysX processing for game-changing physical effects. This driver installs PhysX System Software version 9.09.0814. Learn more here. Note: If you have problems downloading ForceWare 195.55 Windows XP x86, please try to stop using your download manager and avoid right clicking on files. Also, check your firewall settings, because some mirrors may require that you do not block the HTTP referrers.